There are tons of creative ways to improve interaction on your website. People tend to use polls, quizzes, and contests to improve website interaction. Furthermore, using these contests, you can improve your online presence if you’re smart about it. Today’s topic of discussion is using the power of referral links and giveaways using WordPress Contest plugins to reach new viewers and create promotional content. These plugins can be used to create attractive contests, giveaways and promotional campaign which puts in an incentive for your users to interact with your content and help spread your website’s information all over the internet, especially through Social media. Using these WordPress giveaway plugins, you can set up various referral links, goal-based giveaways and more with barely any hassle and integrate them perfectly onto your website. 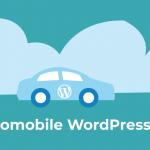 But before we start, let’s consider why using a WordPress contest plugin is a smart idea. Why should we use a WordPress Contest plugin? While it may not seem evident to most users, WordPress contests and giveaways profit the organizer more than the contestants. Using some reward or incentive, you provide users with referral links that they are sure to share around the internet which makes your site more popular. Moreover, a lot of referrals and giveaways propagate through social media which only serves to strengthen your website’s online presence. Similarly, these referral programs can also help you build a bigger email list and create a sense of festivity and enjoyment to your content. But there are things to remember when creating and running these contests. First of all, create a definite amount of time for these programs to run, create some strong, basic rules that all parties need to follow. Set a minimal amount of referral count and add in more tiered rewards for a higher number of giveaway participants. Essentially, the goal is to make the rewards accessible but not abusable or too easy to receive. 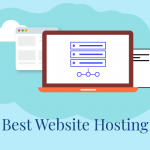 But managing these elements be quite a pain and you have to ensure that the rest of your website runs smoothly while this event is going on. 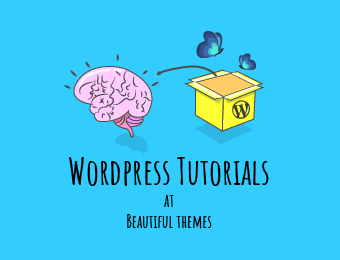 Therefore, to lessen your task, we highly recommend you try using a WordPress contest plugin or a WordPress giveaway plugin that fits your purpose. WordPress Invitebox plugin provides with an excellent tool to create viral referral promotions for your blog or websites. Invitebox lets you create four different referral campaigns too. This includes Instant Reward Referral, Referral contests, Goal-based referrals, and Sweepstakes referrals. Leave yourself to various options while setting up your giveaways and use your referrals to the maximum advantage using Invitebox. Moreover, the referral links are easily managed and created by the plugin and even keeps tracks on referrals for both the user and admins. Additionally, Invitebox is also Social media friendly and can help your users easily share your referral links straight through social media websites. Invitebox also has an analytics function to help you keep track of all your referrals, participants, clicks and even conversion. Watch your lead generation count soar through the sky using this excellent WordPress plugin. Multiple types of Referral campaigns. Keep tracks for each referral and referral campaign. Easy to use and monitors leads, clicks, participants and more. Increase user interactions and boost traffic on your website using this highly intuitive WordPress contest plugin. Contest by Rewards Fuel lets you run and manage various types of giveaways, contests and referral campaigns with ease. Choose over 30 different entry methods for your WordPress contests. From Facebook likes to Follows on Snapchats and even Form entries. Leave yourself to various options for contest entries and use them in cohesion for even better benefits. Most of these entry methods are even Social media enabled. This WordPress contest plugin is built to not only help you keep track of multiple WordPress giveaways but also manage them at the same time. Furthermore, you can improve your giveaways and contests with added features such as Location selection, Localization, and Translation features, video contests and more. Over 30 different entry methods. Social media enabled giveaway and contests as well as newsletters and tons of various options. Digital prizes, easily embeddable contests, location selection, and automated contests. Supports Video submission or video contests. Social boost is a WordPress Giveaway plugin that is built to work hand in hand with social media websites. As social media is the great medium for sharing giveaways, sweepstakes, and contests, Social boost allows entry methods from pretty much every popular social media website and lets you share the contests on them easily. Enable tons of interactive programs on your website including quizzes, referral events, content sharing and more. Use Social boost to increase the size of your email lists, follower counts, viewers as well as sales. Moreover, the impact of your contests and giveaways can also be studied in detailed using various analytical tools. Social boost provides you with. The addition of Google analytics integration only makes it better. Moreover, To make the process of the management of the contests easier, Social boost comes with tons of nifty features. This huge list of features includes automatic coupon creation for your sales, set restrictions based on age, country or location, anti-cheat or anti-abuse algorithms, time management features, ready-made campaign templates, and scheduled contests. Social boost helps your website, as well as your social following, grow rapidly. Tons of social media enabled entry methods. Time management features for giveaways as well as Scheduled draws for winners. Integration of google analytics with inbuilt analytical tools provided. Easily customize layout and design and use pre-built contest templates. Provides tools for Instagram, Facebook, Pinterest, YouTube giveaways and more. If you’re running a WordPress giveaway, why not use one that has perfect compatibility with one of the largest eCommerce plugins available. Built for massive sales and incentivization, Refer a Friend for WooCommerce lets your business grow in a rapid yet organic fashion using this excellent plugin. Reward users with coupons and even free products for referral campaigns while being able to keep track of each referral alongside detailed statistics. Refer a friend works using WooCoupons and goes along hand in hand with WooCommerce which makes managing your products even easier. Moreover, you should note that the plugin works by creating a unique link for each user that can be made available on their account page. Users can simply share this referral link and help your product/website grow and be rewarded for your efforts through the use of excellent coupon offers. Built for eCommerce and eStores website. Customizable coupons for referral rewards. Easy to retrieve, track and manage referral links. Referral statistics for admins and tons of filter and sorting options. Contests & Giveaways is an intuitive WordPress contest plugin that lets you create attractive contests and giveaways with barely any hassle. Users can simply take part in your contests and giveaways using their emails. This not only helps you improve user reception but also increase the size of your mail lists. The plugins also use features to help you customize your contests to a large degree. This includes setting up end dates, setting up Terms of services, image customization and more. Signed up users are tracked using cookies, and in case of duplicate entries, the users are automatically merged. It’s anti-fraud and anti duplicating features makes giveaways less worrisome for you. Furthermore, you can also spice up your Giveaway and referral programs using a dedicated editor, landing pages, images and more. Lets you create beautiful contest designs and landing pages. Easily customizable contests and giveaways. Anti fraud and duplication detection features. Contests can be easily embedded on any post or page using shortcodes. Built using the dedicated giveaway platform: WooBox, this third party plugin is bound to help you use your giveaways and contests to their best potential. Using WooBox and its WordPress giveaway plugin, you can create inciting giveaways, contests, coupon campaigns, polls and more. Additionally, users can also use WooBox for more flexible purposes for making interactive campaigns on your website. Easily set up your contests to run using social media websites, email entries, and more. As the platform itself is dedicated for contests and giveaway campaigns, the data collected is put directly onto your hand and helps you integrate various tasks with them. Similarly, not only can you embed the campaigns all over your website using its simple to use shortcode. Whether you use landing pages or popups, ensure that your viewers don’t miss out on new events and campaigns using WooBox. Moreover, if you have an issue managing the plugin or the WooBox platform itself, you can make use of WooBox’s dedicated support team and documentation too. Easy to embed and setup. Highly flexible and powerful WordPress contest plugin. Mobile friendly campaigns and giveaways. Landing page and pop up ready designs. Proper analytical and tracker tools as well as Social media friendly. Simple Giveaways is an extremely lightweight and user-friendly WordPress contest plugin that lets you host easy to use and easy to manage giveaways that can be enabled all over your website. Whether it be widget areas, sidebars or dedicated pages and posts, your giveaways will work perfectly on any part of your website without causing any significant drop in load time or user responsiveness. Easily manage the schedules and running time of your giveaways, and set up various details regarding your giveaways. This includes images, sponsor logos, Social media embeds, Google captcha, and more. You can even choose how the winners are selected as well as setup winner announcement date and time. Moreover, you can also set up nifty features for your contests and giveaways. Inform users about their entry using email notifications, setup sharing, and referral features and keep track of participants using this highly intuitive plugin. Similar, it is important to keep note that Simple giveaways is not only mobile and cross-browser compatible but also GDPR friendly too. Customizable giveaways with scheduled winner announcements. Email notifications and sign up features. Dedicated Subscribers page and form manager. Thus, this concludes our list of best WordPress contest and giveaway plugins. Giveaways and referral campaigns have tons of aspect that make them a great means of lead generation. Moreover, It’s a smart idea to consider using them in conjunction with your social media activities to garner interest in your content. There’s nothing that incites users towards your website more than free content. Use these tools right, and you have the perfect means of improving your user content, regardless of the objective of your website.